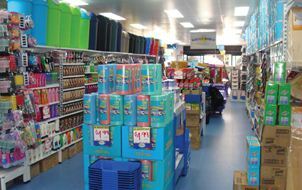 At Wayne’s World, we are a discount Variety chain prominently positioned throughout the rural areas of Queensland and New South Wales. Waynes World embraces the community spirit by bringing savings and exceptional product choice to you, our customer. We are proud to nourish our reputation of providing a fun and friendly shopping experience! Our team is what makes our business special. We adopt local members of your community to become family members of our business. Shopping at Waynes World not only means you get great products at value pricing but you also support your mates in your local community! 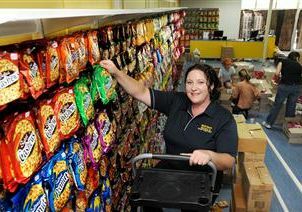 As we continue to expand our business, we continue to increase our capacity to bring you more of the bargains you love. We receive deliveries of new products each week. Make it worth your while to put Waynes World on your weekly shopping list!!! We look forward to seeing you in our store soon!! !